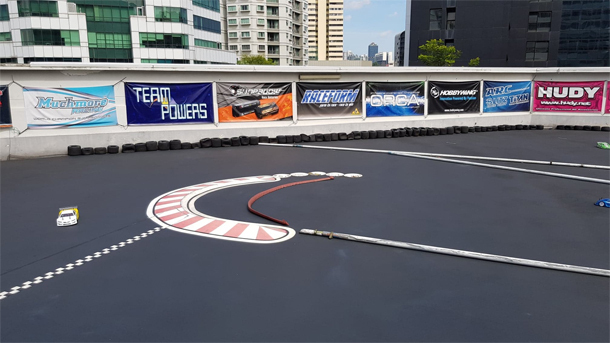 Singapore's Urban Touring Series goes into Round 4 just this past weekend with the attendance of Team ARC's P.Y.Tang. Showing a good pace in practise on Saturday, P.Y. 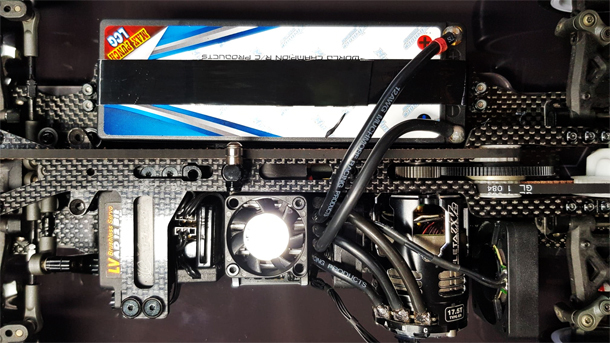 worked on getting a better package on his Muchmore-powered ARC R11 2018 for the single class of Blinky 17.5T. 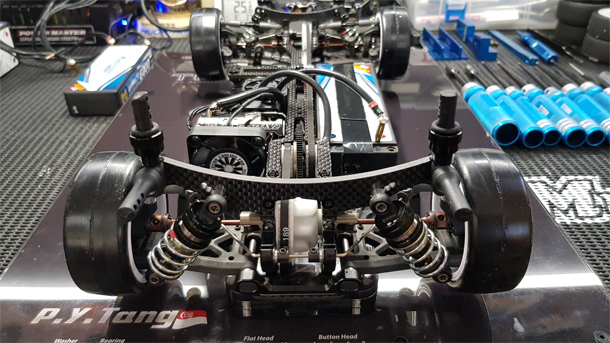 With 2 rounds to count for 4 qualifying rounds, P.Y.Tang dominated Q1 just missing out on the 27 lappers with 2.8sec margin over series leader Dominic Quek of Xray and Sean Lee in 3rd. P.Y. also set the fastest lap of the day at 11.3s in Q1. In Q2, Dominic closed up on the pace but P.Y. took another TQ with 0.7sec ahead. In Q3 and Q4, again it was close racing between the P.Y. and Dominic with the latter taking last 2 TQs slight edge over P.Y. of 0.3sec in Q3 and 0.5sec in Q4. 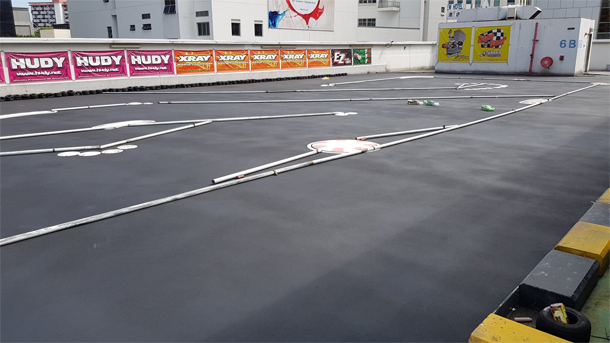 P.Y.Tang would take the overall TQ with a faster time in tie-break. In Final A1, a spin out at turn 3 from P.Y. allowed Dominic to pass. Although P.Y. had a faster car and trying to get a pass in the whole 5 minutes, he could not find a way pass Dominic and would ended up 0.5s behind. Final A2 was more straightforward with P.Y. taking the win from tone-to-tone after a clean start followed behind by Dominic and Sean. It was down to Q3 for the overall win but P.Y. 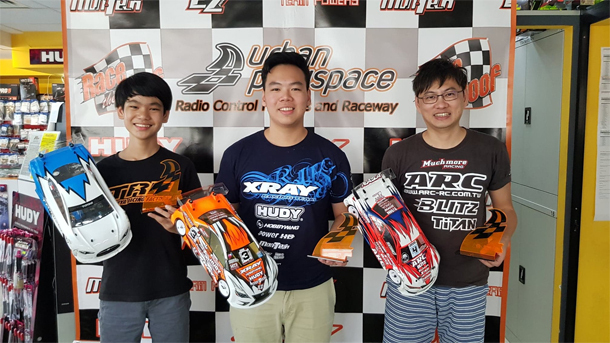 's hope to get his first win in the 2018 UTS dashed when he made a small mistake at the dots just before the finishing line, creating a small opening for Dominic to force an aggressive pass. With P.Y. 's car unsettled after the overtaking and collecting dusts offline, he found himself dropped to 5th after several moves from Sean, Esmail and Hasron. With a better pace, P.Y. would eventually catch up to 3rd with Sean and Dominic far ahead. Dominic Quek would win Final A3, Sean Lee in 2nd and P.Y.Tang in 3rd.